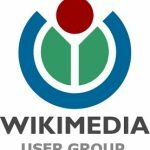 About Me Wikimedia Nigeria Foundation is an affiliate of Wikimedia Foundation in Nigeria with the aim of introducing Wikimedia related projects to Nigerians. The Foundation runs as a Non profit organization in Nigeria. It was established as User Group in Nigeria in the year 2015 before before being registered as a Non profit organization by Corporate Affairs Commission ( CAC) in the year 2018. The organization is driven by volunteers from across the 36 states in the federal republic of Nigeria.